Cats have big characters. They also have big energy requirements, fast metabolisms and burn energy at a fast rate. Just like the big cats of the wild, they are carnivores so they need high levels of meat to ensure maximum health. 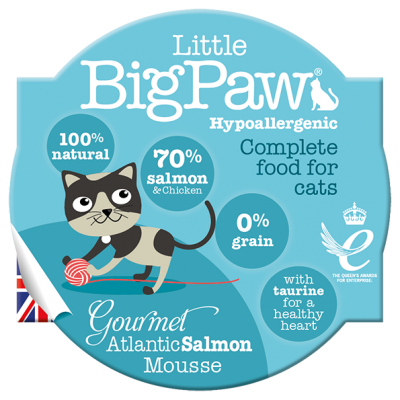 For cats a high percentage of meat is not just desirable: it is essential. There is no doubt that the higher the meat content; the better it is for the health of the cat. 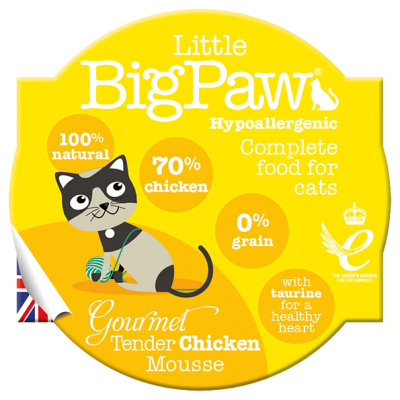 Little BigPaw is a range of wet foods designed specifically for cats with character. We work closely with leading nutritionists to produce foods that are perfect for all cats. Our foods are packed with meat, high in energy, nutrient dense and rich in calories – so a small amount of food packs in a big amount of energy. 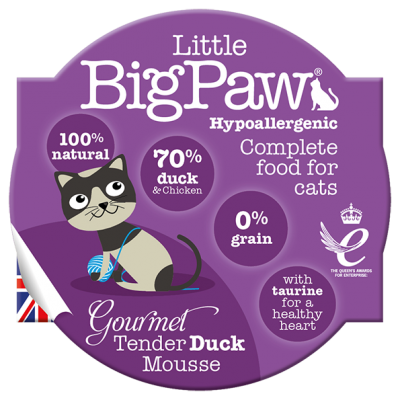 We choose natural ingredients that are gentle on the pets stomach and easily digested. We even add Taurine – an amino acid essential for feline health. 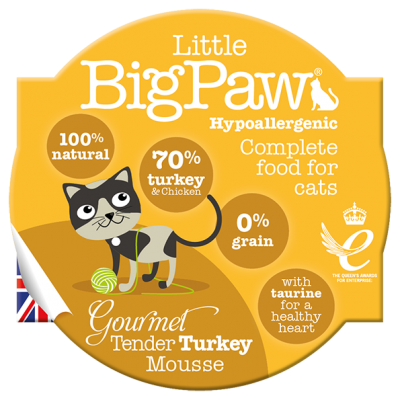 What’s more, we use a very high percentage of 100% traceable British meat so every cat will love the taste – big taste for little big cats.